HALSMAN, PHILIPPE. Dali's Mustache. An Photographic Interview by Salvador Dali and Philippe Halsman. Home / Shop / Books / HALSMAN, PHILIPPE. Dali’s Mustache. An Photographic Interview by Salvador Dali and Philippe Halsman. HALSMAN, PHILIPPE. Dali’s Mustache. 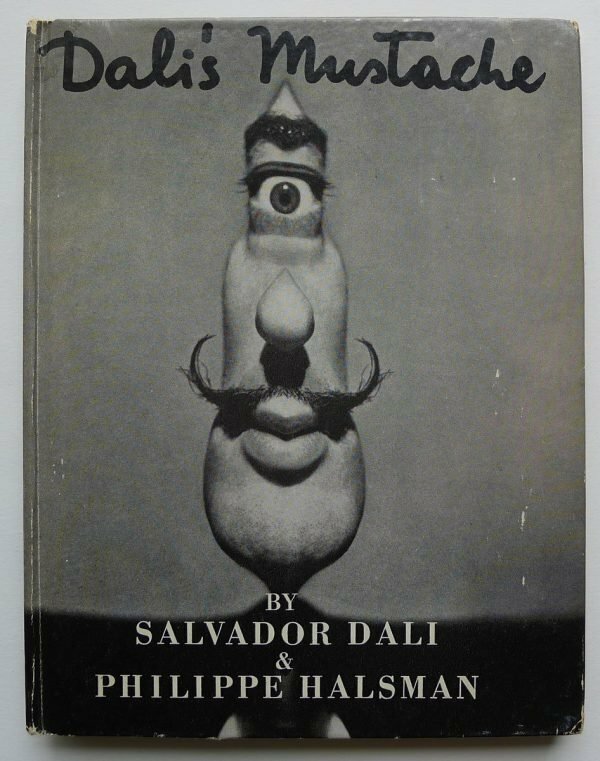 An Photographic Interview by Salvador Dali and Philippe Halsman. 12mo. Original boards. Monochrome gravure plates. 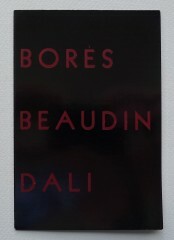 Foreward by dali, postscript by Halsman. A little rubbed at edges with tiny chip to top of spine. Salvador Dali. 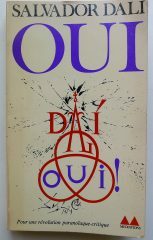 Oui. Mèthode Paranoïaque-Critique et Autres Textes. Bibliotheque Meditations. 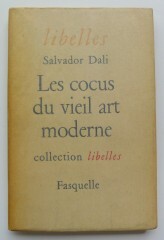 Les cocus du vieil art moderne. Collection libelles. 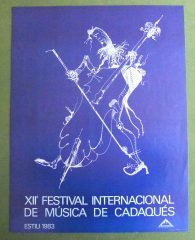 XIIe Festival International de Musica de Cadaqués, 1983. 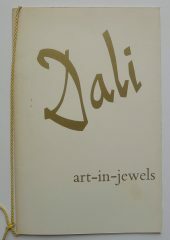 Dali. Art in Jewels. The Collection of The Owen Cheatham Foundation. Paintings, Water Colours and Drawings by Francisco Borès. Paintings and Drawings by Andrè Beaudin. Salvador Dali Drawings and Etchings to illustrate Lautreamont’s “Chants de Maldoror”. You are invited to the Private View on Monday, May 14, 1934. Zwemmer Gallery London.